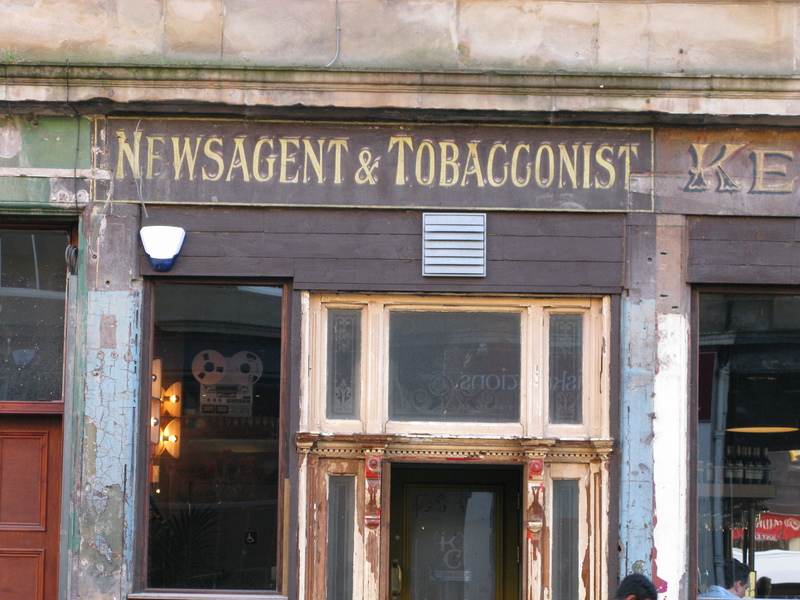 One of the best preserved signs can be found on the uncovered exterior of the Kelvingrove Café in Finnieston at 1161 Argyle Street. The original cafe opened in 1896. Today, it still uses some tools and techniques for creating ice, as originally used by the cafe owners in the 1930s in Glasgow. The tobacconist next door was integrated into the cafe design, when it was refurbished in 2013. The above photo was taken by from Glasgow Punter blog post and shows the full signage of the cafe.